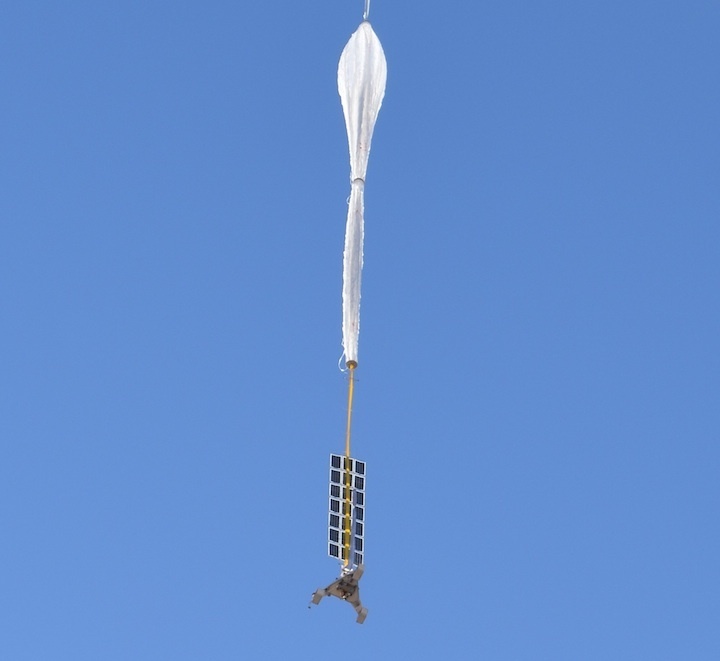 The World View Stratollite consists of a primary lift balloon (top), secondary balloons (middle), a solar panel power generation and distribution system, and a stratocraft payload-carrying structure (bottom). Long-duration stratospheric research missions could allow scientists to collect vast amounts of data continuously for their payloads. Such missions could benefit NASA by maturing future space technology as well as allowing for Earth observations, such as storm monitoring and forest fire tracking. Previously, technological challenges have limited the duration of balloon flights in the stratosphere due to the lack of trajectory control necessary for longer flights. 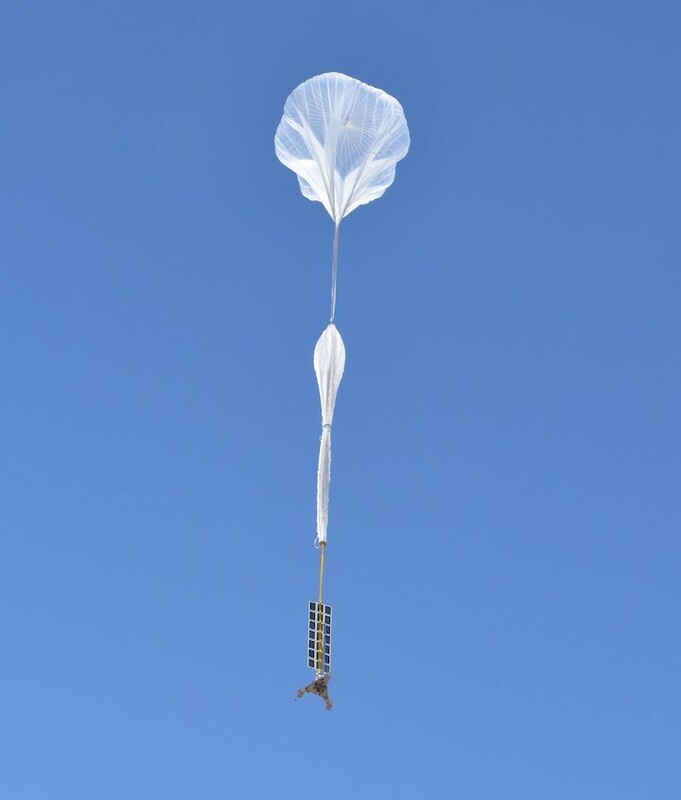 Now, a system developed by World View Enterprises promises the capability to perform large altitude changes to achieve meaningful trajectory control of balloon flights in the stratosphere. World View’s novel altitude control technology was selected to receive funding through NASA’s Research Announcement: Space Technology – Research, Development, Demonstration, and Infusion (REDDI) 2016 solicitation. This summer, the company performed flight tests that demonstrated this system’s capability, which put World View one step closer to shifting the status quo of lack of altitude control. World View has been persistent in its development of the altitude control technology, just one component in a complex network of advances making up the company’s Stratollite system. During the company’s summer 2017 demonstrations on the Stratollite, all proposed success criteria were met. These criteria included demonstrating altitude changes, maintaining altitude levels during periods of both high and low solar elevation, and showing that the system is able to perform station keeping over a 24-hour flight. The 27-hour flight out of Page, Arizona, continued into California before maneuvering into westerly winds to guide the vehicle back toward Arizona. In addition to achieving its primary objectives, the vehicle also performed a large altitude excursion of 25,000 feet, limited only by the commercial airspace ceiling. The flight test raised the technology readiness level (TRL) of the Stratollite system to 9. With development dating back to 2012, the Stratollite’s altitude control system is the result of extensive research into state-of-the-art methods to traverse the stratosphere while catching the varying directions of the winds needed by flights throughout the year. By making meaningful shifts between altitudes as needed within a given trajectory, World View’s system may be able to support much longer balloon missions than previously possible. The implications for scientific payload testing are significant. “The operational cost of these flights is less than 1% of the cost of sending those payloads to space,” explained Beveridge. World View is continuing development of this ground-breaking capability and has more flights scheduled later this year to test different mission scenarios, longer duration, and higher altitudes. Looking forward, World View’s flight manifest for 2018 includes an increasing number of payload providers interested in this platform capability. Through the Flight Opportunities program, the Space Technology Mission Directorate (STMD) selects promising technologies from industry, academia and government and provides opportunities for testing and technology demonstration on commercial launch vehicles. The program is managed at NASA's Armstrong Flight Research Center in Edwards, California. STMD is responsible for developing the crosscutting, pioneering new technologies and capabilities needed by the agency to achieve its current and future missions.